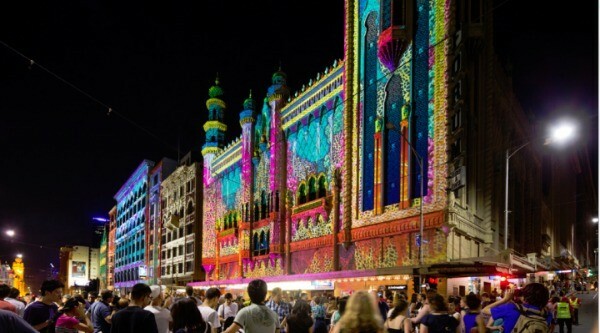 Are you ready for White Night Melbourne? 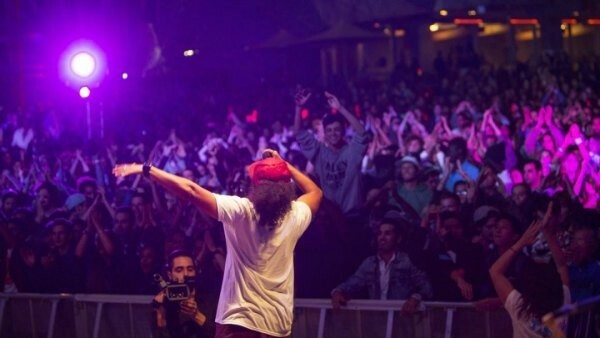 For 12 exciting hours, starting at 7pm today (Saturday 21 February) Melbourne’s city streets, parks, laneways and cultural institutions will be buzzing for an eventful night of arts, entertainment, music, food, theatre, fashion, film and so much more! 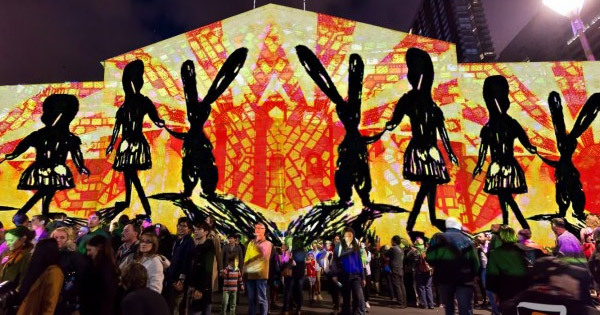 Be prepared to be amazed with Wonderland, an incredible light projection. This is the signature event at White Nights Melbourne and will transport your family to the familiar land of Alice’s Adventures in Wonderland. You can view this children’s book-inspired spectacular on buildings between Russell and Elizabeth Streets. KEYFRAMES is a light installation the younger generation is sure to love! Why? 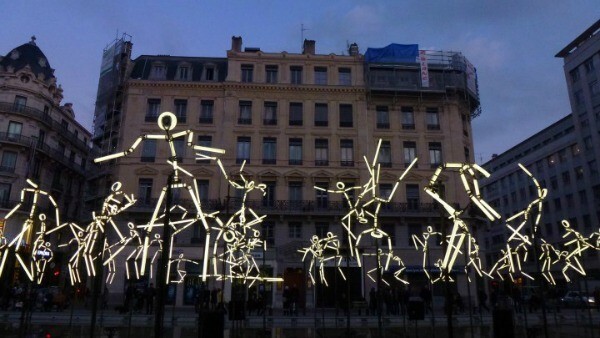 Because what’s not to love about 64 neon stick figures that dance to music! Catch it outside the National Gallery of Victoria in St Kilda Rd. Kids of all ages will love the early screenings of the International Animation Explosion, located at the Wonderland Precinct. 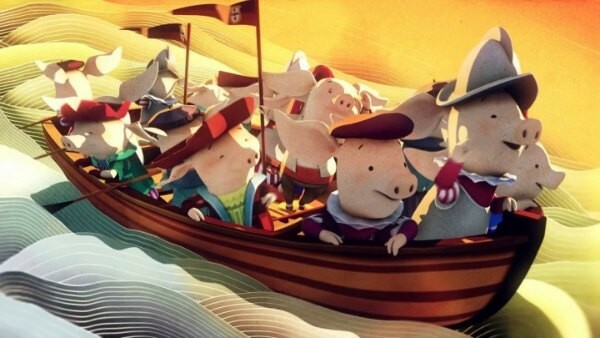 The early program starts from 7pm with an assortment of fun and creative characters, from farting dogs to sailing pigs. If your kids are fans of animals, animation or ABC4Kids, then this is the one not to miss. 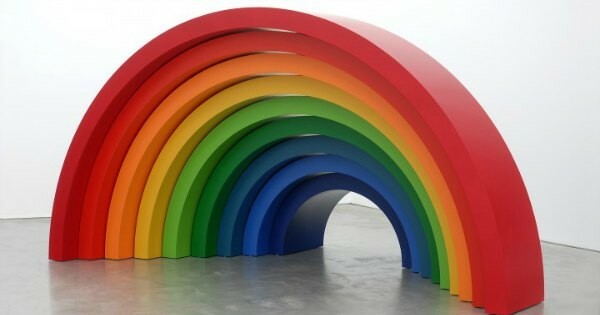 Emily Floyd: The Dawn is a bold, colourful and incredible exhibition of sculptures and installations that will fascinate even the smallest art fanatics. While little ones may not understand the cultural, social and political ideas surrounding the sculptures, they will love the pretty colours. So it’s a win-win for both you and the kiddies. There’s more lights with Infinite Curve, a laser show like the kids have never seen. 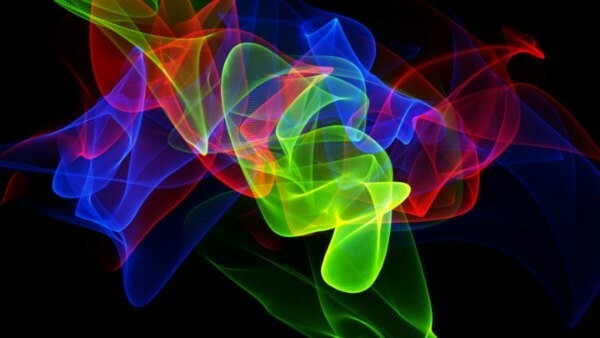 Based on a laser lumia effect, Infinity Curve can be seen in the gardens of the National Gallery of Victoria from 9pm. Get a sampling of the various dance styles out there and let the kids join in on the dance-fuelled madness with I Could Have Danced All Night. The dance team is managed by Ausdance Victoria and kids can tackle dance styles such as samba, contemporary and street dance from performers like Neda Samba Electro, Weave Movement Theatre and Nomadic Funk. 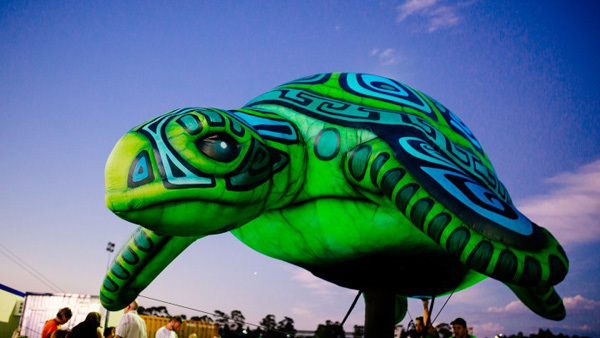 Then don’t miss Cirque du Soleil’s brilliant and rather massive Totem Turtle as it swims above the crowds in the Alexandra Gardens, operated by a team of clever puppeteers. Not sure where else to go and what to see? 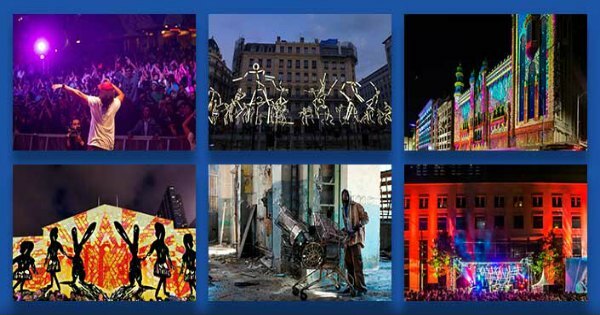 Check out the White Night Melbourne for maps and more details on the different events. Or, simply pack up the family, a blanket and head down to one of the precincts to make your way around. We recommend starting at Wonderland, but do consider leaving the big pram at home and taking a compact stroller or baby-wearing instead as massive crowds are expected. Have fun and let us know what you see!